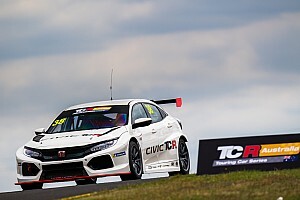 The first TCR International Series event at the new Zhejiang Circuit provided two exciting races that may have changed the course of the championship before the final race meeting at Dubai. As far as the title fight is concerned, Leopard Racing’s Jean-Karl Vernay has moved a few steps closer to being crowned the successor of his former teammate Stefano Comini. The Frenchman has scored the maximum of points in Race 1 and only one point in Race 2, but as his closest rival Attila Tassi’s tally was limited to 7 points, he has stretched the leading margin to 21. As for the other contenders – Stefano Comini and Roberto Colciago – they are now 42 and 46 points adrift respectively, meaning that their hopes have nearly completely vanished when 55 points are still on offer. Should Vernay be successful in his quest for the crown, he must concede some credit to Rob Huff, who placed himself at the team’s service with great professionalism. And Huffy was rewarded today by a splendid victory in Race 2, on his final appearance in the current season. But, arguably, the talk of the town for the weekend was the debut of the two Hyundai i30 N TCR cars run by BRC Racing and driven by touring car legends Gabriele Tarquini and Alain Menu. And what a debut it was! 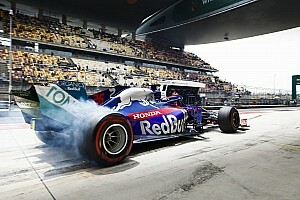 Fastest in qualifying, the two Korean cars were relegated to 13th and 14th on the grid for both races because they had been accepted under a temporary homologation form. Despite this, they put on a great show and Tarquini claimed an impressive victory in Race 1 that immediately resulted in a change of BoP before the second race: 40 kilos added to the minimum weight and a power reduction to 95%. In any case, it is clear that a new and competitive brand has joined TCR, adding further spice to a consistent growth in quality that was also proved by the fact that today’s race victories were shared by two World Champions. The TCR International Series will come to an end at Dubai, on November 17 and 18. 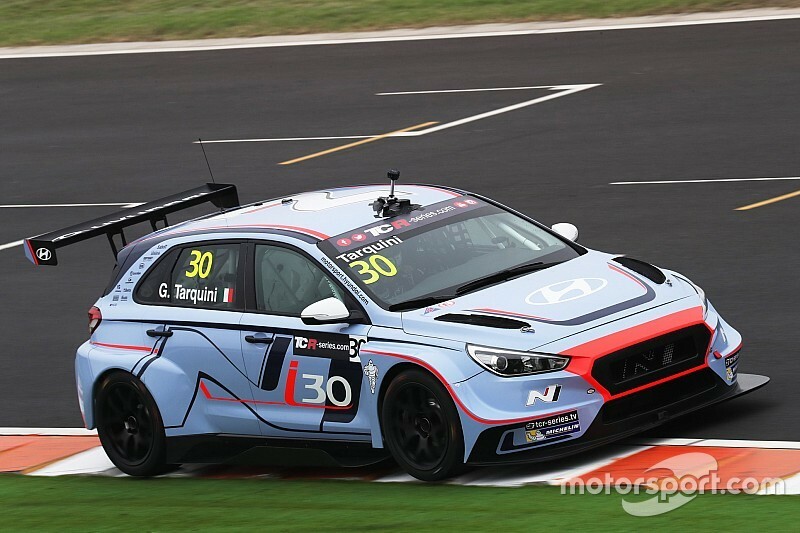 Gabriele Tarquini put in an impressive performance at the Zhejiang Circuit, recovering from starting 14th on the grid to lead under the chequered flag and so giving the Hyundai i30 N TCR a victory in its maiden race in the International Series. However, as the Korean car has been accepted under a temporary homologation form, the 25 championship points were awarded to Jean-Karl Vernay who finished second in the Leopard Racing Volkswagen Golf GTI. The Frenchman was followed by two other Volkswagen drivers: his own teammate Rob Huff and WestCoast Racing’s Gianni Morbidelli. Pepe Oriola salvaged fifth place after having led for most of the race and having been involved in a couple of controversial collisions with Vernay and Morbidelli. The results helped Vernay to stretch his leadership in the Drivers’ championship to 26 points ahead of M1RA’s Attila Tassi who finished 11th (and 10th of the scorers) after having been pushed wide after the start. Rob Huff leaves the current season of the TCR International Series on a high note. The former World Champion claimed victory at Zhejiang Circuit in a race that will be remembered as one of the toughest ever in Touring Car competitions. The drivers delivered close and thrilling battles for every position and – rather exceptionally – all these clashes, contacts, pushing and paint-swapping did not result in major incidents. All the drivers were able to keep on racing, demonstrating great skill in handling their battered cars. Gianni Morbidelli finished the race in second position, overtaking James Nash on the last lap. Nash had bravely led most of the race in his SEAT before being forced to concede to the fastest Volkswagen cars. Alain Menu was fourth in a Hyundai that was hit by an increase in weight and a reduction of power after Tarquini’s display of strength in Race 1. As far as the title fight was concerned, the event favoured Jean-Karl Vernay who leaves China with a leading margin of 21 points in the Drivers’ championship ahead of Attila Tassi. Gabriele Tarquini (Winner of Race 1): "What a great weekend for Hyundai, the team and myself. I certainly did not expect that and this will stay as one of the best memories in my career. To win at our debut just proves that the excellent work done pays off. Our pace in Race 1 was great. I was lucky not to be involved in any incidents at the start and to be already 7th in lap 1, having started from P14. I then realized I had a chance to win and pushed hard, despite the fact we had some fears after having encountered problems with the oil radiator in practice and qualifying. 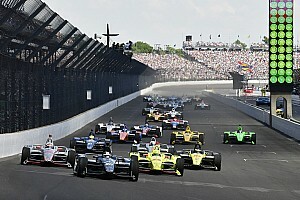 Luckily, the issue did not occur again and I could pass everybody and take the lead. In Race 2, of course, we did not have the same pace, with 40 kilos more and 95% of the power, especially towards the end of the race, the car began struggling. The weekend really was not bad for a newcomer to the series. 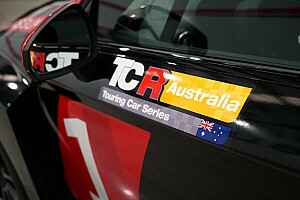 At the end of the day, I am a rookie in TCR!" Rob Huff (Winner of Race 2, 3rd in Race 1): "Race 2 was probably one of the toughest and most aggressive race I have been involved in, but also a very enjoyable one, as we came on top! It was an excellent weekend for the entire Leopard Racing team, the car was very competitive here and the team did a fantastic job. More importantly, Jean-Karl has regained the championship lead and will go to Dubai with a significant advantage. My mission was to help him and I think that I achieved what was expected from me. I won't be racing in Dubai but I enjoyed very much my stay in the TCR and hope to be back." Jean-Karl Vernay (2nd in Race 1): "It was a great weekend for us and I am very happy. The car was terrific, and it was important to get the points of the victory in Race 1, which was definitely better than Race 2, which saw too much fighting. We knew the track would suit the Golf, and we used well the opportunity, which allowed us to approach the final round with some confidence, although the job is far from finished." Gianni Morbidelli (2nd in Race 2): "I am very happy of the weekend, it's great to see that our season has improved dramatically since Oschersleben and it is important to be finishing on high notes such as today. The races here were fun, but also a little bit dirty, especially Race 2. 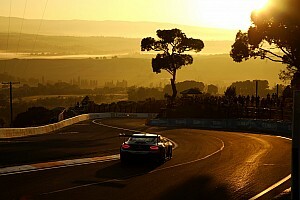 Some drivers were a little bit over the limit in closing the door, attacking or pushing." James Nash (3rd in Race 2): "It's a little bit frustrating to finish Race 2 in third after having led with a 7-second gap, but I really made everything I could. At the beginning, I managed to pass Kajaia and Vervisch to take the lead and pulled away, building quite some gap. But then the others caught me again. I did not make mistakes and had no issues, their pace was simply much faster than mine. There was much rubbing in Race 2, but I am sure it made a great TV show!"